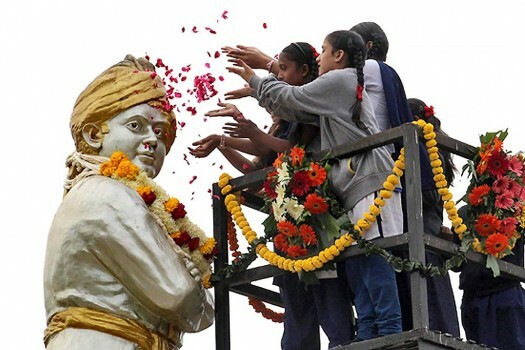 School students celebrating paying tribute to Swami Vivekananda on his birth anniversary in Surat. 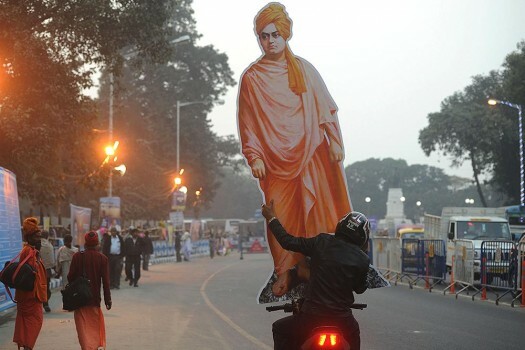 The cut out of Swami Vivekanda carrying out on the eve of his Birthday in Kolkata. 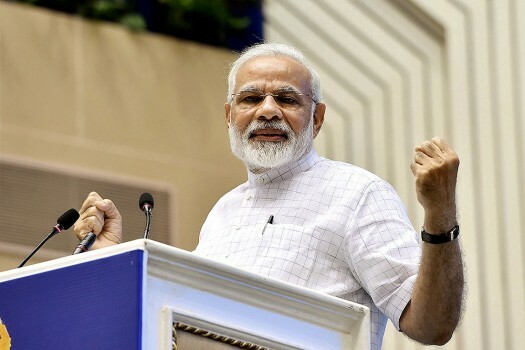 Prime Minister Narendra Modi during a function on the occasion of 125th anniversary of Vivekananda's Chicago Address and birth centenary of Deendayal Upadhyay, in New Delhi. 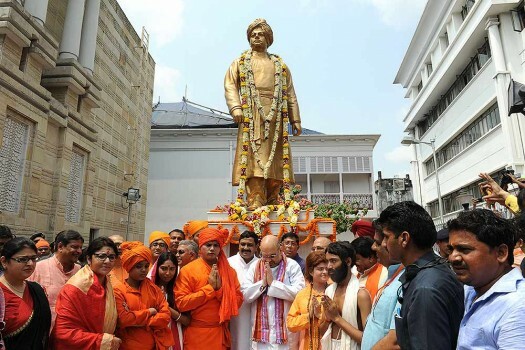 Bharatiya Janata Party National president Amit Shah during his visit to Swami Vivekananda's ancestral house in Kolkata. 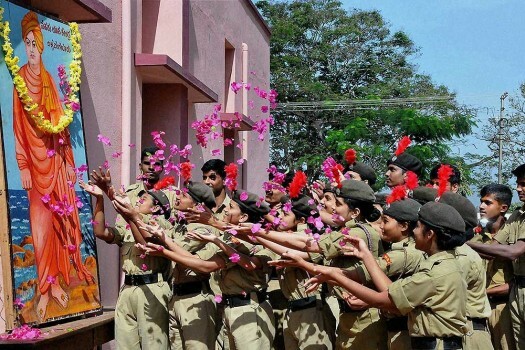 NCC students pay floral tribute to Swami Vivekananda on his birth anniversary in a college in Chikmagalur. 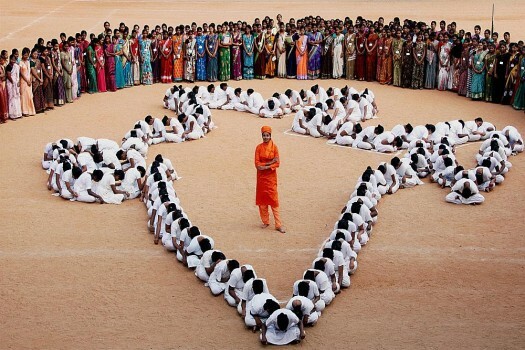 College students form a human chain in shape of India's map during the 150th birth anniversary of Swami Vivekananda in Coimbatore. 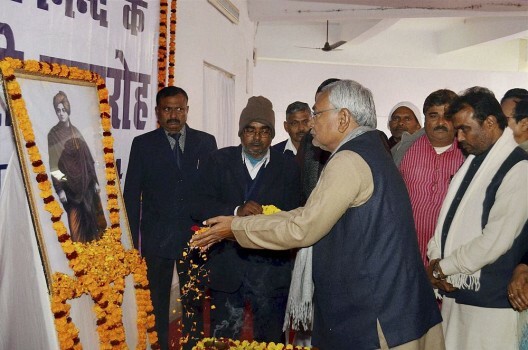 Bihar Chief Minister Nitish Kumar offers floral tribute to a potrait of Swami Vivekananda on his 151 birth anniversary in Patna. 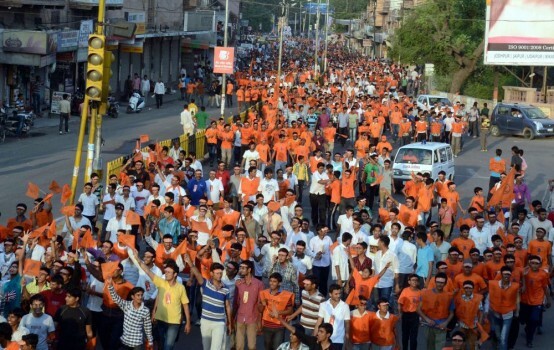 Youths participate in " Bharat Jago Daud" to mark 150th birth anniversary of Swami Vivekananda, organised by Rashtriya Swayamsevak Sangh in Jodhpur. 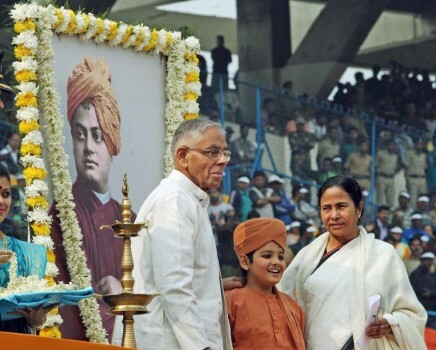 President Pranab Mukherjee with WB Governor M K Narayanan during celebration of 150th birth anniversary of Swami Vivekananda at Swami Vivekananda's ancestral house in Kolkata. 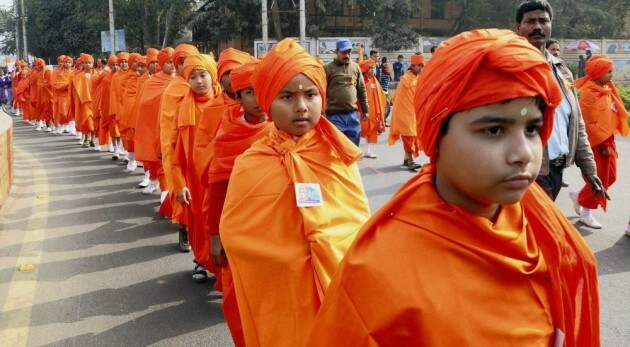 Children dressed as Swami Vivekananda perform at 'World Youth Festival' to celebrate 150th birth anniversary of Swami Vivekananda in Kolkata. 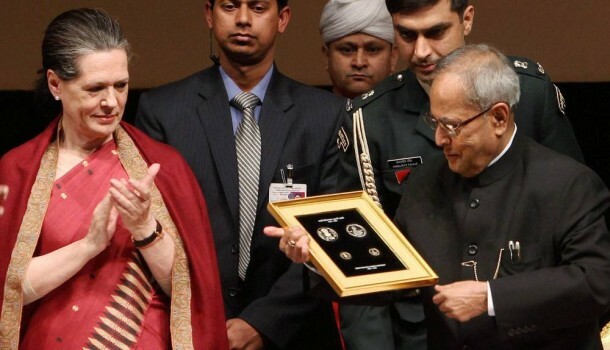 President Pranab Mukherjee releases coins as Congress President Sonia Gandhi claps during the commemoration of 150th birth anniversary of Swami Vivekananda in New Delhi. 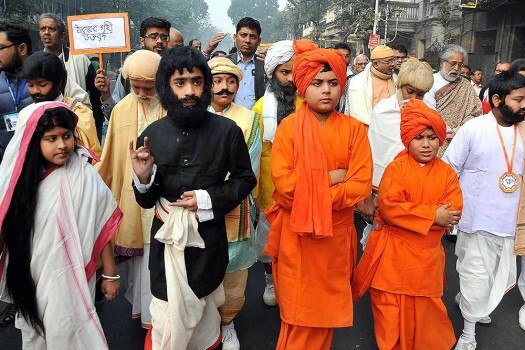 School students dressed as Swami Vivekananda taking part in a procession to mark his 150th birth anniversary celebrations in Guwahati. 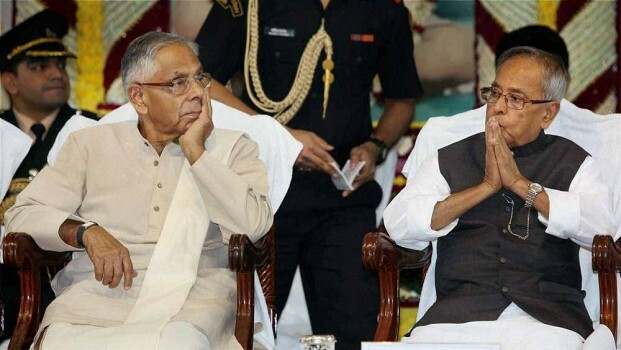 Much of the life-blood of our freedom struggle doesn’t conform to Nehruvian republican ideals. 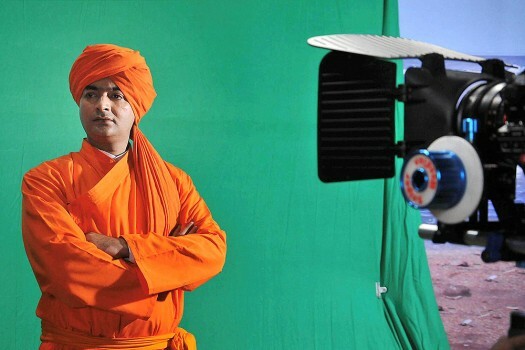 Swamiji’s life must be seen in its socio-political context. 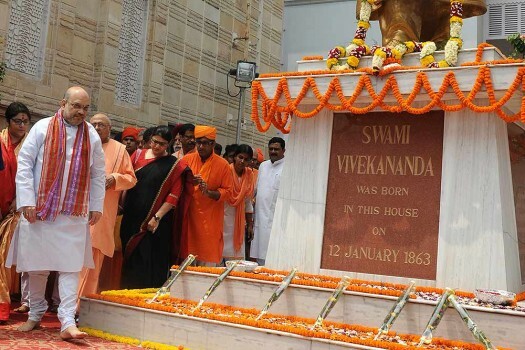 Swami Vivekananda: Social reformer or caste votary? 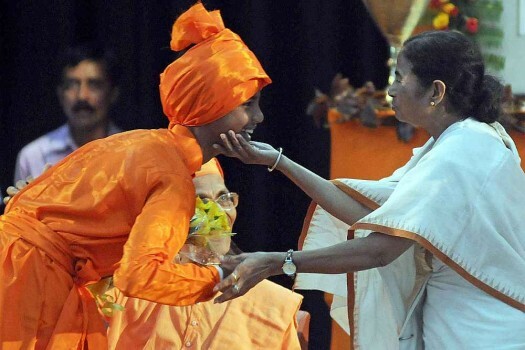 Religious inclusivist or Hindu supremacist? 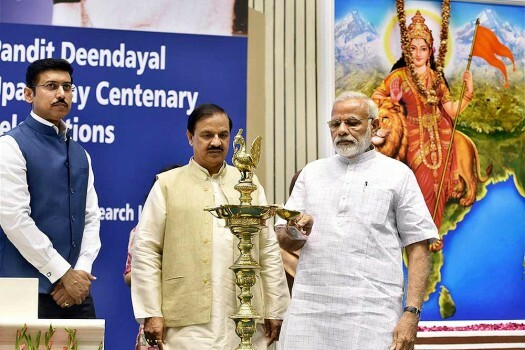 A poll-ready Modi rolls out his Vivekananda yatra carnival. 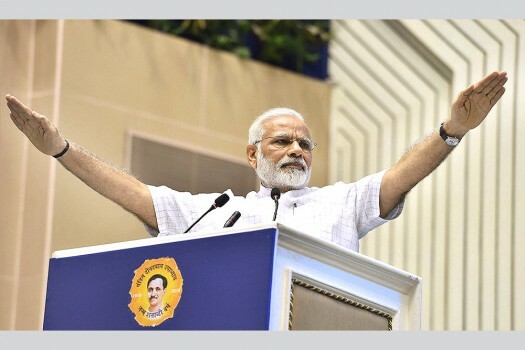 All Gujaratis are invited. 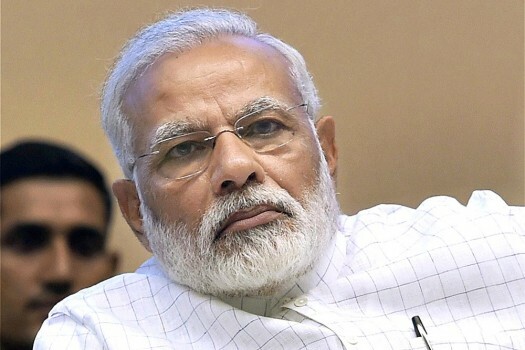 In a world where being Hindu is seen as antithetical to being enlightened, progressive, and modern; where being Hindu is equated with Hindutva, it is not easy addressing the Hindu-American identity.